The imagined story of the figures in Pieter Bruegel the Elder's 16th century masterpiece The Procession to Calvary. 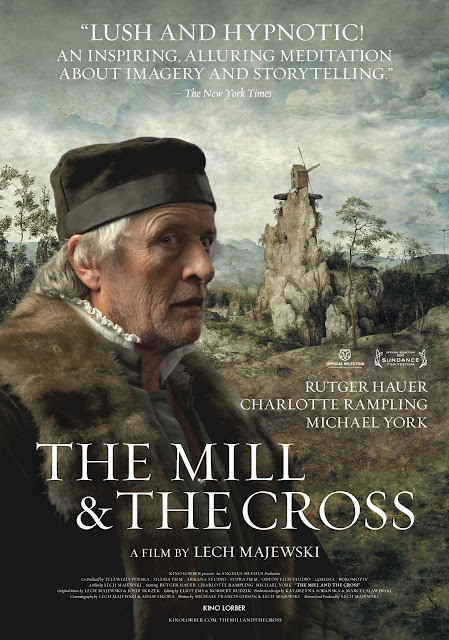 The Mill and the Cross is a film directed by Lech Majewski, based on a book by Michael Francis Gibson, which was inspired by Flemish Renaissance artist Pieter Bruegel the Elder's 1564 painting The Procession to Calvary. It's a unique film about a painting quite unlike anything I've ever seen. 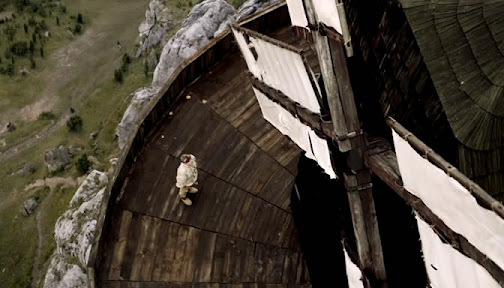 Well perhaps vaguely like that sequence in The Stendhal Syndrome where coincidentally, Asia Argento's character faints and briefly gets transported inside Breugel's Landscape with the Fall of Icarus, if it were shot by Alexander Sokurov. But this is a full feature that takes place entirely within the imaginary world of the painting. Highly stylized, with plenty of digital effects and other movie tricks, and incredibly rich in detail, it's certainly a visually stunning work. 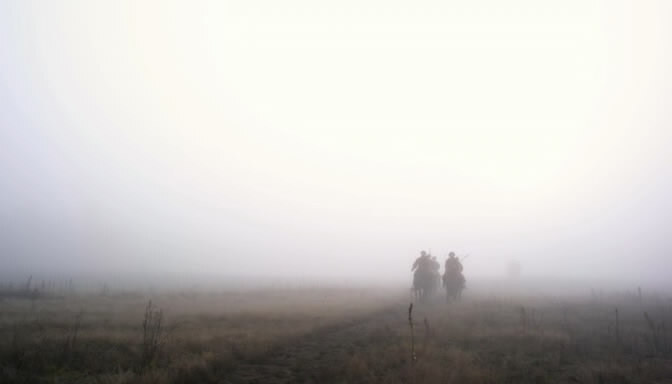 If ever a film deserved to be described as painterly, this is it. 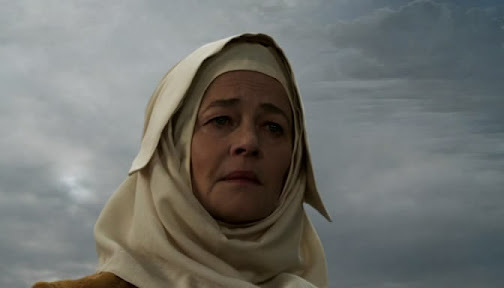 The images are presented largely without dialog, save for a couple of expository exchanges between Bruegel (Rutger Hauer) and his patron Nicolaes Jonghelinck (Michael York), a few barked orders in Spanish, and some voiceover from Mary, the savior's mother (played by Charlotte Rampling). 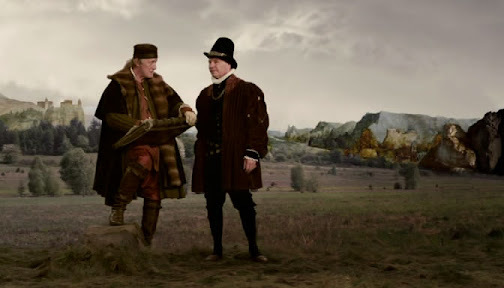 Perhaps Majewski should have chosen to get rid of dialog completely, as the English is out of place—one of my big cinematic turnoffs is when the language is incongruous to the setting—and also doesn't add anything that isn't already obvious. The story meanders, giving us glimpses, some longer than others, into the lives of each of the five hundred plus figures in the painting. Regular townsfolk going about their business, children messing around, a farmer and his wife taking a calf to sell, the cavalry swooping in with vicious brutality, the miller watching it all from his vantage point atop the rocky tower. 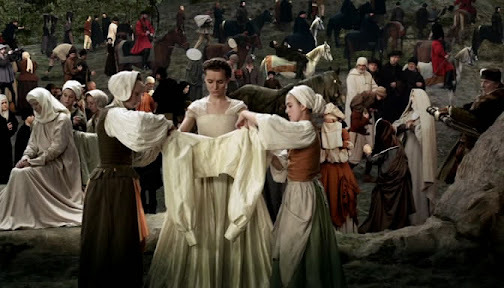 All filmed and choreographed with a precision that constantly reminds us that this is all fantasy. However, the story lacks an emotional anchor. I didn't mind the very slow pace, but with so many random people and places, it's difficult to really connect with anything here. Sure it's gloriously composed from the first frame to the last, yet it was unable to truly captivate me, and I found my attention wandering on more than one occasion. Ultimately I found it to be a bold and ambitious, strange and beautiful, sometimes amusing, and sometimes horrific, but ultimately lackluster attempt at bringing a masterpiece to life that probably would have worked better as a short. Good review. You pretty much wrote every single thing that I would have. I completely agree on both how visually stunning it is, but also on how little emotion it generated in me. As you said, we never really make a connection with any of the characters. It sounds just a little less impressive than a walk through a museum. I'm not sure how I feel about that, or if considering that I'd even give this a watch. This sounded really interesting initially and the images look gorgeous. I'm wondering if it's worth watching only for the visuals... But like you say, you really need an emotional anchor or the whole thing falls flat. Definitely not my cup of tea!!! Thanks Chip. You know I actually think staring at the actual painting for 90 minutes would evoke a more emotional response from me than this film did. That about sums it up. It did however make a few critics' top lists for 2011 so some people found it to be more than that. 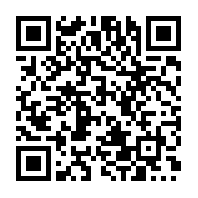 If the concept is interesting to you, I'd say it's worth a look. I was just expecting a bit more. Ah, York and Hauer, two of the people I was afraid most as a kid :) The film sounds interesting at least visually. 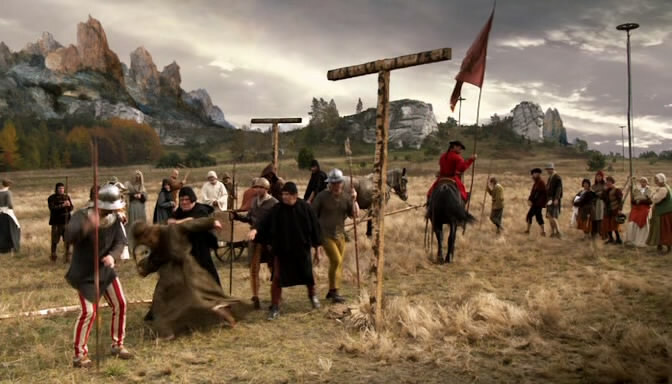 I liked Hauer a few years ago in that Italian film about Barbarossa. Haha that's funny. Hauer I understand, but Michael York has never struck me as a scary guy. Was there a specific role that bothered you?